Today’s main news: Upgrade appoints Western Union exec at general counsel. Assetz Capital now claims to be second largest P2P lender in the UK. Perseus has the solution for EU cyber threats. Amartha partners with Jamkrindo in Indonesia. Today’s main analysis: How banks are investing in fintech. Today’s thought-provoking articles: LendingClub CEO Scott Sanborn interviews with Bloomberg. The top fintech trends driving the next decade. P2P lending fails to take off. Chinese fintechs eye IPOs overseas. Why smart investors in India opt for P2P lending. Regulatory sandboxes in Asia can foster innovation. Citizens Financial starts a robo-advisor with SigFig. Fifth Third Bancorp intros Momentum, an app for millennials. The neighborhood Sharestates says is hot for real estate investing. LendingTree partners with Benzinga to give a $10K award. 17M GBP invested into IFISAs. If P2P lenders lack anything, it’s not ambition. Chinese fintechs eye overseas IPOs. Views on China’s ICO ban. Perseus seeks to shield German SMEs from cyber attacks. GRID Finance rules out UK in growth plans. Fintech pushes EU to explore changes in bank software rules. CrowdExplorer wins award at Digitale Innovations Competition. Index Ventures heading to Disrupt Berlin in December. Spotcap launches $10K fintech scholarship program. How banks invest in fintech. Why smart investors should opt for P2P lending. Amartha partners with Jamkrindo in Indonesia. Senturia Capital partners with Funding Societies in Malaysia. Mitsubishi UFJ to launch cashless settlements tech with 32 banks in Japan. Upgrade, Inc. (http://www.upgrade.com), the new consumer credit platform launched by LendingClub founder Renaud Laplanche earlier this year, today announced the appointment of John Dye as General Counsel. Prior to joining Upgrade, John was Executive Vice President, General Counsel and Secretary of The Western Union Company. He was also Chairman of the Board of Directors of the Western Union Foundation. Prior to joining Freddie Mac, John spent 13 years at Citigroup Inc. in New York City, where he held senior leadership positions, and served as Senior Vice President and Senior Counsel at Salomon Smith Barney. The macroeconomic backdrop: While macro trends are generally positive—low unemployment, low interest rates, low inflation and low oil prices with an increase in consumer confidence—credit card debt levels are near all-time highs. Today, there is more than $1 trillion in outstanding credit card debt in the U.S. Borrowers are not alone: LendingClub borrowers are not alone in seeking a lower interest rate solution: credit card debt in the U.S. is at an all-time high1 and credit cards tend to carry high interest rates. Sixty to 70% of our customers are currently taking advantage of our personal loans to pay off credit cards which helps them to get on the path to financial success. LendingClub is enabling more new investors access to an old asset: Fifteen percent of our investor base still invests directly through the retail website, with the balance accessing the asset through other means. Institutions want more: In Q2 2017, we had record high subscription from more than 100 institutional investors participating on the platform. Banks were 44% of our overall investor mix last quarter, attributed to LendingClub’s assets offering solid returns with a short duration. Reaching new investors through securitization: More than 20 new investors engaged with LendingClub via the first deal, which demonstrated high demand for the asset. Here is a glimpse at the technologies driving bank innovation today—as well as a look ahead to the technologies coming down the pipeline that will change the way banking is done over the next 10 years. Digital Lending (here and now) – Unsecured consumer lending is the first market where digital lending has made an impact and is by far the most mature. Today, the two leading consumer lending platforms (Lending Club and Prosper) originate roughly $2.5 billion in loans quarterly. Small business lending has quickly followed and is rapidly digitizing. ABA has endorsed the digital commercial lending solutions offered by Akouba, providing banks of all sizes the use of these platforms to enhance customer service and significantly reduce underwriting costs. Biometrics (1-2 years) – Passwords are only secure to the extent that they are kept private and cannot be guessed by a keen observer. The problem is that these passwords often rely on observable pieces of our life like our birth date, our children’s names, or our pets (my personal favorite), which are all readily available to criminals using social media and public databases. A 2015 study by TeleSign indicated that one in five people use passwords that are over 10 years old, with 73 percent of accounts being secured by the same password. Compounding this problem is the fact that we now have so many accounts that require a password, that it is impossible to keep them straight. Customer Data (1-3 years) – Today, customer data at banks is often unstructured—housed in systems that are inconsistent and may not talk to each other. A single customer may have multiple accounts with a bank that are all housed in different systems, with inconsistent identifiers. A number of banks, as well as core processors, are working to reconcile these systems. Some are working to build additional data warehouses that aggregate disparate customer data to create a unified view of customers. Regtech (3-5 years) – Regulatory reporting is one area that seems ripe for digital disruption. Today, filing call reports is a quarterly activity that requires significant time. It would not be hard to imagine a software solution that was tied into a bank’s back-end systems and prepopulated all of the key reporting fields. Moreover, it would be possible for regulators to receive a steady feed of data from a bank that would give them an ongoing view into the bank and may reduce the frequency with which exams are necessary. Artificial Intelligence (5-10 years) – One way this could help bankers is by improving fraud detection. Traditional fraud monitoring systems rely on specific non-personal rules (like geography) to detect fraudulent transactions. Machine learning could be applied to analyze the transactions of each customer, flagging transactions that are out of their normal habits. Internet of Things (8-10 years) – For example, banks may be able to use internet-connected devices to make better loans and monitor collateral. Inventory or livestock for a small business can be monitored in real time. This would allow a bank to monitor a customer’s balance sheet on an ongoing basis, giving it the tools to make better decisions about lending or adjusting credit lines in real time. The Chief Analytics Officer at FICO talks about their use of artificial intelligence in credit models, fraud, alternative data, financial inclusion and more. Why his background in theoretical physics was perfect for studying fraud and credit risk. What the company FICO actually does and how it interacts with the credit bureaus. What his role as Chief Analytics Officer entails. Some examples of the 130+ patents that FICO has been granted. The importance of being able to explain how a credit model works. How their advanced machine learning models can be explained to regulators. How FICO has been using artificial intelligence for decades. What Scott thinks about the sudden embrace of artificial intelligence in the last couple of years. What he worries about with so many new companies coming into the AI fray. How Scott views alternative data and using new data sources. His thoughts on disparate impact and the use of alternative data. How the FICO XD score helps expand access to credit. How FICO’s fraud product called Falcon became the industry standard for banks. Scott’s views on how a 700 FICO score today compares with the same score 10 years ago. What Scott is most excited about today in his work at FICO. Citizens Financial Group Inc. is the latest bank to start a robo-advisory product as part of its larger push into wealth management. Citizens, a regional bank based in Providence, Rhode Island, is providing the technology to customers beginning Wednesday through a previously announced partnership with SigFig Wealth Management LLC, which uses algorithms to provide financial advice at lower fees than traditional human advisers. The minimum initial investment in the Citizens offering will be $5,000, according to the firm. The annual asset-management fee is 50 basis points, or about half the typical cost of a traditionally advised account. Looking at origination characteristics for the four largest MPL originators, we see origination volume continue to rise: 21% for 2Q17 over 1Q17, and up 52% over 2Q16. Loan coupons have risen from a 14.20% GWAC for the 2Q16 vintage to a 14.31% GWAC for the 2Q17 vintage, while the two year treasury has rallied approximately 50bps over the course of the year. PTI is relatively unchanged, coming in at 9.05% for 2Q17 versus 8.99% for the 2Q16 vintage. Average FICO has increased significantly: 703 for the 2Q16 vintage to 711 in 2Q17. Prosper closed its second $500MM Consortium securitization, PMIT 2017-2, on which dv01 was loan data agent. Data from PMIT 2017-2 is available for accredited investors through dv01’s Securitization Explorer, and is updated monthly. Download and read the full report (with charts) here. Fifth Third Bancorp is borrowing inspiration from the fintech world as part of its effort to woo millennial customers and compete with megabanks for consumer deposits. The Cincinnati bank on Tuesday is scheduled to roll out a stand-alone app designed to help its customers pay student loan debt. The app, called Momentum, lets customers link Fifth Third debit cards to student loan accounts held by more than 30 servicers. Customers can have their debit card purchases rounded up to the next dollar, or have a dollar added to every purchase; the money is applied weekly to the balances on designated loans once a minimum of $5 is contributed. The U.S. captured 54% of the $127 billionin global venture capital invested in 2016. This access to capital has allowed some American fintech startups to succeed despite the regulatory burdens. Yet, the U.S. underperforms in fintech venture capital compared to our share of overall venture capital. In 2016, the U.S. obtained only 33% of the $13.6 billion in worldwide fintech venture capital investment. I am working with Arizona policymakers to introduce a sandbox in Arizona that would reduce entrepreneurs’ barriers to entry without sacrificing core consumer safeguards. This would be the first state sandbox in the United States. Attorney General Mark Brnovich is calling for Arizona to become the first state in the country to adopt a “sandbox” like regulatory environment that would reduce fintech entrepreneurs’ barriers to entry into local markets in a new op-ed penned for American Banker magazine. Key to creating sandbox regulatory systems is ensuring core consumer safeguards are not sacrificed. Sandboxes have already been implemented in countries such as the United Kingdom, Singapore, UAE, Malaysia, and Australia. Che Al-Barri remembers feeling like he was drowning in debt last year. He had taken out a $70,000 loan for his small cleaning company, but was struggling to repay it. For Al-Barri, taking a big loan seemed like a great opportunity at first. Large clients were taking months to pay him, he said, and he wanted to buy equipment and hire employees to expand. But he underestimated how much he would earn, making it very difficult to repay the loan plus the $30,000 in interest he owed. A new Stanford study analyzing Airbnb users and data suggests measures that enhance a user’s reputation, like stars or reviews, can counteract these harmful prejudices. The results, the researchers said, indicate sites that use reputational tools create a fairer and more diverse online marketplace. The share economy, also referred to as “collaborative consumption” and “peer-to-peer lending,” has allowed everyday citizens to turn into entrepreneurs, taking advantage of an industry that’s projected to grow to $335 billion by 2025, according to the Brookings Institution. The researchers in this study focused on a certain type of bias called homophily, a natural tendency to develop trustful relationships with people similar to themselves, and how best to counteract it. The study is part of a broader research project analyzing trust and technology at Stanford. Data from real estate crowdfunding firm Sharestates says there has been a 650% increase in demand from investors wanting to put their cash into property in Fishtown. That’s because of an attractive 11.8% return on investment and the ratio of the total loan amount compared with after repair value is 14%. Speaking at an AFL-CIO Labor Day picnic in Cincinnati, Cordray did not address one of the most—if not the most—crucial issue facing the agency—whether Cordray will resign to run for the Democratic nomination for governor in the Buckeye State. And when questioned afterward, he declined to comment on his intentions. The CFPB is working on its most high profile set of rules—those governing the payday lending industry. The bureau is believed to be planning to release those final rules this month. Benzinga, a leading financial media and events company, announced Thursday that it will team up with the nation’s leading online loan marketplace LendingTree to award $10,000 to the winner of an on-site fintech demo competition at the inaugural Benzinga Fintech Summit in San Francisco September 28. The Fintech Innovation Challenge Presented by LendingTree will award $10,000 to the company whose product best demonstrates scalable, material innovation to the Summit’s audience. To date, Assetz Capital has lent over £316 million to businesses across the UK. HMRC has revealed that 2,000 Innovative Finance individual savings accounts (IFIsas) were opened during the last tax year. The average investment into IFIsas during 2016/17 was £8,500 which meant £17m was invested collectively. HMRC also reported that the amount invested in cash Isas had fallen from £58.7bn in 2015/16 to £39.2bn in 2016/17, while investment in stocks and shares Isas edged up from £21.1bn to £22.3bn. Peer-to-peer Isas failed to gain much popularity in their first year, with just 2,000 Innovative Finance Isa (IF Isas) accounts opened in the tax year 2016/2017, according to the latest statistics from HMRC. The biggest problem is that many peer-to-peer platforms have struggled to gain approval from regulators to become IF Isa providers. 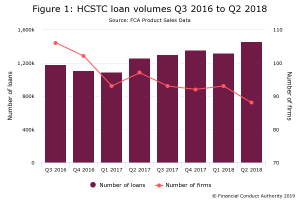 There are currently around 60 firms that have received approval from financial regulators, with most of these only starting to operate within the past few months. Across the 2,000 IF Isa accounts opened, £17 million worth was subscribed. The average subscription per account was £8,500 – about the same as the average stocks and shares Isa account subscription. Peer-to-peer platform Abundance claims it sold the majority of IF Isas in the last tax year. It says 1,436 Abundance IF Isas were opened, representing 72% of all IF Isa products opened last year. Overall, the amount held in Isas in 2016/17 fell to £61.5 billion, compared with £80 billion the previous tax year. This decline was largely driven by a steep fall in the amount held in Cash Isas. In 2015/16, a total of £58.7 billion was held in Cash Isas; in the latest tax year this fell by a third to £39 billion. The theme of the campaign seems to be “for those made to do more.” Here’s another in the campaign, not quite so striking. Samir Desai, co-founder and chief executive of Funding Circle, Britain’s largest peer-to-peer lender, says that his business, which has arranged $2.7 billion of loans to small companies, could be lending at least $100 billion within a decade. Peter Behrens, co-founder of Ratesetter, one of Funding Circle’s main rivals, believes that his platform could double its annual loans within the next two years to £4 billion. The A-share market, due to its profitability requirements, remains off-limits to most Chinese fintech firms, particularly peer-to-peer (P2P) lending platforms that were once regarded as an important part of the mainland’s reform of the banking system. The increasing demand for financing has prompted a clutch of fintech firms to kick off their overseas IPO processes, most of which plan to complete fundraising in the next 12 months. Zhong An Online Property and Casualty Insurance, China’s first online-only insurer, is seeking to raise as much as US$1.5 billion via a Hong Kong IPO. After five years in business, Zhong An has developed a customer base of about 500 million people. The Chinese regulators’ ban on ICO has heightened, and the financing of various tokens of the virtual currency has been put to death. In a consequence, the ICO asset value has evaporated nearly $20 billion, and more than 100,000 investors may be affected. However, some ICO initiators still don’t want to stop. ”I don’t think the central bank’s oversight of ICO is going to be that severe,” a charger of the Digital Currency Asset Exchange said, ”and we would wait and see the specific notice of the local financial office and then decide what to do with it.” But in some communities of the ICO, we can see initiators start to announce the withdrawal of investors’ assets. According to fintech incubator FinLeap, which is behind the venture, more than 70% of German companies were affected by cybercrime activities within the last two years, but only one out of ten SMEs holds an insurance policy that covers the resulting damages. Because Perseus offers a platform, it can connect services and offer “best-of-fit” tech solutions. There is no specific date yet, but it also plans to add an industry-specific cyber insurance proposition to its portfolio of services. The business lender announced it had received €3m (£2.7m) of finance yesterday that will help to fund expansion into new markets, but chief executive Derek Butler says the UK market is already very competitive. He said he was focusing on scaling the business in Ireland first and competing with the country’s two main banks, Allied Irish Bank and Bank of Ireland. EU banking rules treat software as a cost rather than an investment, forcing lenders to cover expenditure on digital applications with an equal amount of capital. If expenditure on software, which amounts to roughly half of banks’ total digital investment, were treated in the EU as it is in the U.S. it could free up more than 20 billion euros ($24 billion)in capital this year alone, one banking lobbyist said. Many European banks have been slow to invest in adapting to rapid changes in the way consumers use technology for finance, with so-called fintech firms starting to steal market share in a variety of sectors from payments to lending. There are cases when the authorization callback from Klarna doesn’t get processed until after the user arrives at the confirmation page. The reason is that the callback and the redirect are made almost simultaneously by Klarna, so it’s a bit random which wins. Workaround: If currentOrder is null, sleep for 500 ms and try again (GetCurrentFinalizedOrder). Repeat for 10 seconds. CrowdExplorer, a marketplace for “Crowd-investing”, has won the special prize for “Fintech” at this year’s “Digitale Innovations” competition. CrowdExplorer is designed to provide investors with a platform to compare access to the international Crowd Investments. CrowdExplorer has launched with the following four categories: Equity, Real Estate, Loans and P2P lending. Index Ventures started as a European firm in 1996, but 20 years on, it has a strong presence on both sides of the Atlantic and has backed startups in 39 cities in 24 countries. Among well-known Index-backed companies are Dropbox, Slack, Farfetch, Funding Circle, Adyen, Squarespace, Deliveroo, Just Eat, King and Supercell. Online lender Spotcap has this week announced the launch of a Fintech Scholarship program, with $10,000 being awarded to an Australian student attending university in a fintech-related field. The lender launched the program with the aim of supporting local fintech talent and ensuring the longevity of financial innovation in Australia. Spotcap is also offering one paid internship placement at its offices in Sydney alongside the program. According to the venture capital analysis group CB Insights non-technology companies now invest more in technology than tech companies. In the firm’s recent report into fintech investments by major US banks, six – Bank of America, Citigroup, Goldman Sachs, JPMorgan Chase, Morgan Stanley, and Wells Fargo — have made strategic investments in 30 fintech companies since 2009. Peer-to-peer loans are the perfect alternative investment instrument for income-seeking investors. It enables you to offer personal loans to borrowers for an array of purposes while eliminating intermediaries such as banks, NBFCs, and unorganised lenders. Furthermore, a good P2P lending platform can make available all the relevant information on borrowers to lenders, assisting them in assessing the credit profile of a borrower in an efficient manner. It can provide each lender with a customized dashboard with relevant informatics and data to help make an informed decision. As per our research, lenders on our platform can earn gross returns to the tune of 18 to 24 percent p.a on an average by building a diversified borrower portfolio. These returns are not merely comparable, but often preferable to returns from other investment instruments such as mutual funds, stocks, real estate, bank deposits, and gold. Income-seeking investors who specifically want to diversify their investments get good returns at the end of the day. As a rule of thumb, at least 20 percent of total investments should be in alternative investments like art, commodity, P2P lending etc. Peer to peer lender Amartha has formed a partnership with the largest state-owned micro credit guarantee company in Indonesia, Perum Jamkrindo. This follows a similar partnership with Bank Mandiri. Amartha is an online lender designed to connect Micro Businesses and SMEs that seek affordable working capital with investors who want to fund their business based on credit risk and expected return. This is a significant agreement for Amartha. Indonesia is the fourth most populous country in the world and support of small business is vital to the economy. Jamkrindo is a state-owned enterprise that has been given a special mandate by the Government to guarantee credit and financing, as well as financial transactions particularly in the SME and micro segments. Jamkrindo is the largest credit guarantee company in Indonesia with total guarantee value of more than Rp 270 Trillion and 8 Million credit. Two years ago the Financial Conduct Authority (FCA) in the UK launched the first formal global regulatory sandbox. There are a few technologies in fintech that haven’t launched but are being tested around the world—these include using bitcoin as a remittance channel, using electronic health records for life insurance underwriting and a financial robo-adviser/wallet that has a holistic view of an individual’s finances. Things are altogether different in Asia’s developing economies. First, in these countries, the infrastructure is developing. Apart from India, the concept of digital identity is only evolving in countries such as the Philippines and Indonesia. Moreover, in these countries, bureaucracy is generally a bottleneck since multiple government agencies work in silos with differing incentives. Developing Asian countries need to prioritize different issues depending on their economies. For example, remittances are of utmost importance in the Philippines and Bangladesh. For example, robo-advisers are a great way to enable the burgeoning middle class to put their savings into equities with a view toward investing and long-term retirement preparation; Thailand has none of those at the moment. There are international brokerages such as interactive brokers that enable robo-advisers to operate in other parts of the world and are licensed in Thailand. However, there are no traditional Thai banks/ brokerages that provide these new services to their consumers. Elsewhere in Asia, Indonesia is a great example of where the regulators have worked with new businesses to create regulations around peer-to-peer (P2P) lending. Private equity fund manager Senturia Capital has reportedly announced a partnership with peer-to-peer financing platform Funding Societies to expand alternative financing access and capital solutions for Malaysian businesses. Mitsubishi UFJ Financial Group Inc. will launch a financial technologies unit Oct. 1 in collaboration with 32 regional banks nationwide. MUFG will put up ¥3 billion in capital to start Japan Digital Design Inc., which is expected to develop new services including those for cashless settlements using smartphones at small shops. It will also promote the automation of operations through artificial intelligence.